These 24 oz. capacity horns are designed by me and custom made for me. 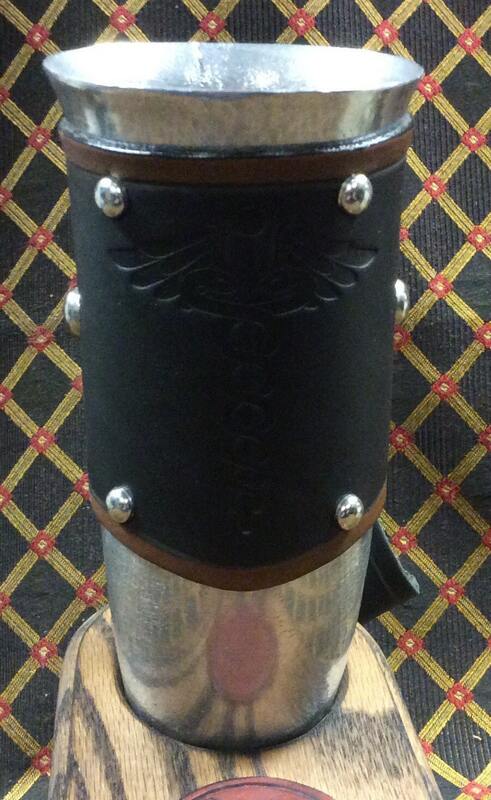 The handmade leather wraps are made of 6-7oz vegetable tanned leather and are embossed with a Medical caduceus emblem. The studs are chrome plated brass. 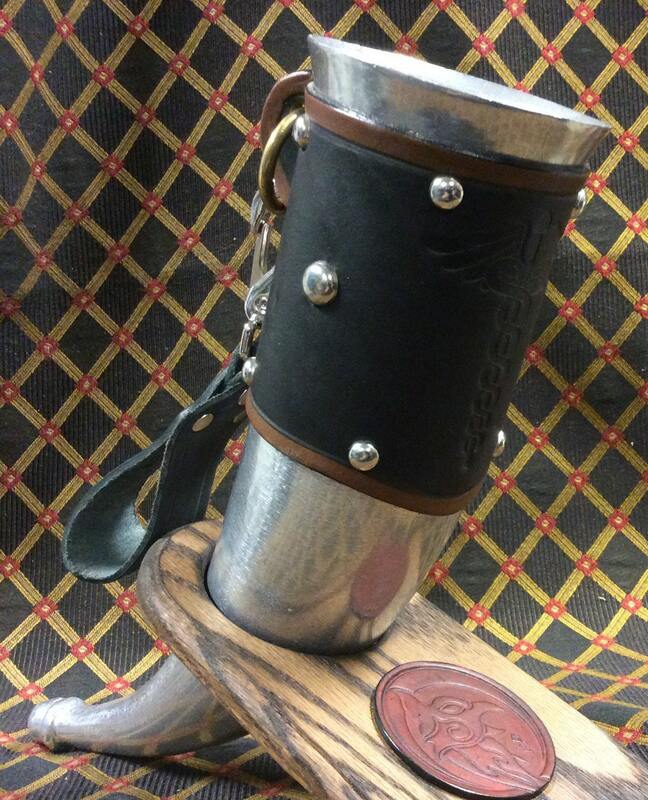 Each horn comes with a leather belt clip embossed with celtic knotwork and a metal clip, great for holding the horn on your side when not in use. The horns themselves are made of a metal called Statesmetal, a cast aluminum alloy. Each horn is individually sand cast, so no two are exactly alike. Statesmetal is perfectly good safe, containing no lead or pewter, but having the cold-retaining properties. It will not leave a metallic taste in your beverage. If you ice the horn before filling it with your favorite beverage, it will stay cold for quite some time.